16 August. Ibrahim Yaacob, a Malayan independence activist who had been in negotiations with Sukarno, Hatta and the Japanese over the inclusion of Malaya in an independent ‘Greater Indonesia’, convenes an emergency meeting of Malay activists in Kuala Lumpur. 17 August. In a disturbing reminder of events leading up to the mass famine earlier in the year, flood waters breach dikes on the Red River upstream from Hanoi. Within days, 150 breaches are reported around the delta, about one third of Tonkin’s summer rice crop being inundated as a result. Its inability to deal with the situation dispels any remaining credibility that the royal government may have had. The floods also inhibit vehicle movement by both Japanese and Chinese troops, offering a temporary benefit to local insurgents. 18 August. With its original Japanese-appointed members augmented by some senior officials chosen by Sukarno, the Preparatory Committee for the Independence of Indonesia (PPKI) endorses the constitution drafted in June by its Java-based predecessor. However, the special position for Islam is dropped and virtually absolute powers are granted to the President for a transitional period until legislative bodies can be elected. Sukarno and Hatta are chosen as President and Vice President. The borders of the new republic are to match those oftheold Netherlands East Indies (thus excluding British Borneo and Malaya). Next day, the PPKI meets again and approves a new cabinet as well as determining division of the country into provinces. 18 August. Over the next four days, all units of the Peta militia and Heiho volunteers (formed to support the Japanese war effort) are dissolved and their soldiers sent home. With the dissolution of established command structures, the move will hamper the creation of a national army for the new country. 20 August. Representatives from the military and the newly formed civilian ‘Japanese Association’ select a site for an internment camp where Japanese civilians in Syonan can await repatriation. Japanese propaganda papers announce publically that Japan has surrendered, printing the imperial rescript on surrender in its entirety. Similar internment camps were constructed throughout Asia. 21 August. With news spreading of the declaration of independence, over the next few weeks localities in many regions declare their allegiance to the Republic and form local National Committees. 21 August. New Malay–Chinese violence breaks out near Batu Pahat, Johor. Such events have been seen since May but, with the collapse of the Japanese order, conflicts mainly along communal lines are becoming increasingly common throughout Malaya. 17 August. General Order No. 1, prescribing when, where and to whom Japanese forces may surrender, is approved by President Truman after having been hastily negotiated between the Allies. The formal surrender of Japan to the Americans takes priority, even though elsewhere this will leave a power vacuum until local surrenders can be accepted. 17 August. 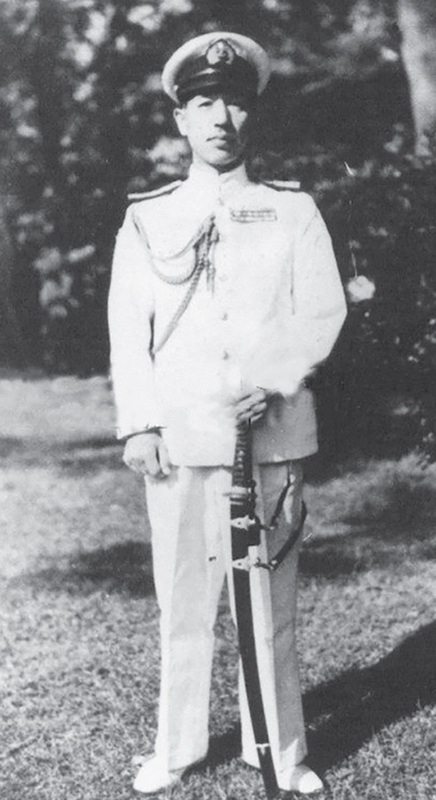 After a night of bargaining between Sukarno and Hatta, the radical pemuda, Admiral Maeda and the Japanese Army, a very short proclamation of independence is drafted at Admiral Maeda’s house in Jakarta. Sukarno later reads out this proclamation, signed by himself and Hatta, in the presence of PPKI delegates at his private residence.